The most frequently asked question I receive as an Independent College Counselor is, "Do you help with scholarships?" While 85% of all scholarships will be awarded from the colleges themselves, this does not mean students should not seek to win the estimated $3.3 billion awarded from private sources. With all that potential money available, along with $100 million in scholarships unclaimed, the answer is, "yes." 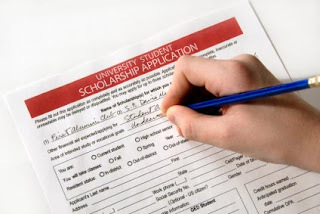 A scholarship is an award based upon student merit, or the accomplishments of the student. This may include high school academics, standardized test score (ACT/SAT), or unique talent (athletic, performing or visual arts). Scholarships are awarded for various lengths. Make sure to investigate their stipulations. Regardless of length, scholarships do not need to be repaid. When is the Best Time To Look? Are Scholarships Only for Seniors? Keep in mind, not all scholarships can be only won by seniors. Many times any student can apply for the scholarship, with the money either being held and sent to the future school of choice, or paid to the family with the expectation it be used for college. Check the 'rules' of every application. The easiest answer is never! Why stop when most colleges allow for 'stackable' scholarships? This means any outside scholarship brought to the college will be 'stacked' on top of the financial aid package awarded. Keep in mind, smaller scholarships may have a smaller applicant pool because students do not feel these are worth their time. A few of these smaller scholarships will add up to a larger scholarship! Remember, you cannot win unless you try. If you interested in learning more securing college scholarships or anything college, contact us. Amazing post here. I read this post from top to bottom. I will definitely consider sharing it with my readers at my blog where we share similar tips on how to write a scholarship essay and other types of academic writing.